We are always excited to have new members join KWPA. 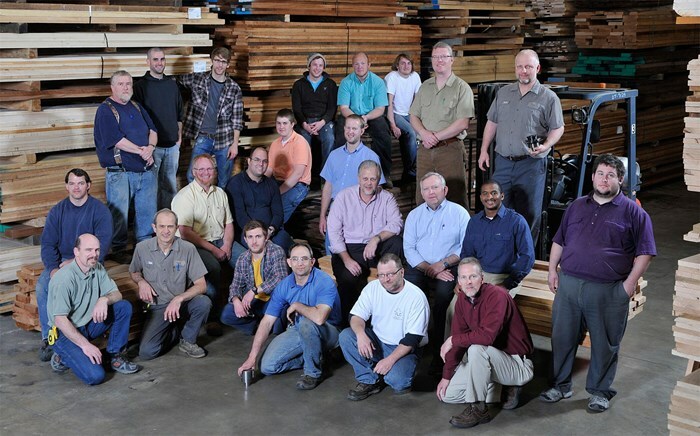 We’ve recently had the privilege of welcoming Tilo Industries in Lewisburg, PA. Tilo Industries specializes in creating architectural millwork and mouldings, furniture and cabinet components from hardwood that is responsibly harvested. They work with a wide range of hardwood species including Ash, Pine, Cherry, Walnut, Oak and Maple varieties and more. Their craftsmen work hard to create end results that they are proud of. They specialize in custom orders, value added services, and can take on rush jobs. They offer a large variety of moulding profiles, from astragal, crown, dentil and beaded insert moulding to banisters, flooring, cabinetry and window sills, all in a wide variety of wood species. If you have an idea or a sketch, but can't find the match in any catalog of standard profiles, Tilo can take your sketch, CAD drawing, photo, rendering or existing sample and develop a custom moulding using leading edge technology. 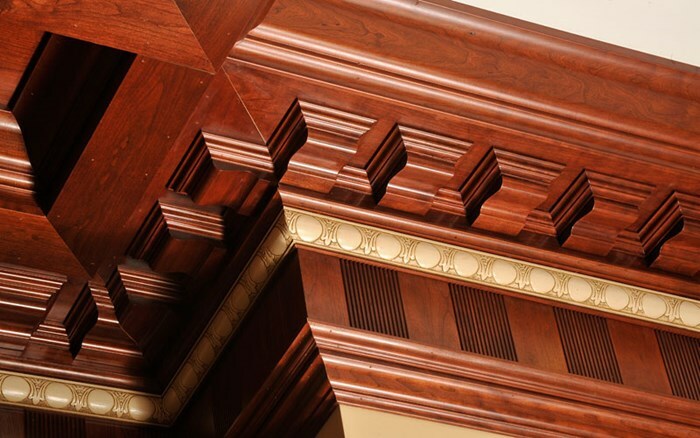 All of the millwork and mouldings Tilo makes are smooth and chatter-free because of their precision technology and high level of professionalism. Un-sanded, their moulder-run product has a superior, smooth finish. Rotating knives do make cutter marks--which are different from chatter marks. Their moulding sander will assist in getting rid of the cutter marks, giving you finish-ready mouldings. Any one of Tilo’s standard profiles can be made into a radius profile: trim for an arched doorway, curved cabinet trim, chair rails for a curved wall, a rounded hand rail for a staircase, or to replicate a historical feature. Once your custom profile is created using in-house tooling, they can stock that profile as a proprietary profile for your business, and your business only. Edge gluing is an effective way to create a large, dimensionally stable panel of hardwood for creating a seamless and solid appearance. Tilo glues pieces of wood 1 1/4" to 5 1/2", matching the grain and color to create a one-piece look. Custom butcher block style tops are available per the customer’s request, using a specific species or pattern of species, or to suit a particular size. A value added service that especially compliments our craftsman quality edge glued panels, panel sanding brings a completely smooth, finish-ready feel and appearance. Using a state-of-the-art wide-belt sander, they plane and sand the panel and can accommodate most any grit finish you need. Laminated panels are often used for functional, high-use applications, like in tabletops or table legs, when one thickness of a material is not enough to achieve the desired thickness. A thicker product is created by stacking the wood and laminating it. Tilo has great relationships with manufacturers of table legs and other production parts who appreciate the precision in P.E.T. cut-to-length blanks. Tilo can quickly shape these blanks to your design. This speeds production and efficiency in their customer’s manufacturing process. Tilo Industries is as well rounded in their values as they are their service offerings. Quality, honor, teamwork, honesty, accountability and ambition are just a few examples of their list of 19 company values that set them apart in the way they operate. They do not take lightly the gifts given to them and pay it forward in any way they can. Their mission is "to serve our customers and employees by following Christian principles and values. We partner with our employees to provide exceptional service and products to our customers by caring for the details in the same way that we would want to be cared for. Working for profit to be used for the glory of the Creator." These values truly show through their craftsmanship. Tilo stands for craftsmanship and precision, and those principals are ingrained in every product Tilo Industries makes. They pride themselves in building their products to be “Beyond Reliable”. We’re excited to partner with Tilo Industries in promoting their business and we thank them for their support as we work together to create interest in PA hardwoods and the forest products industry. 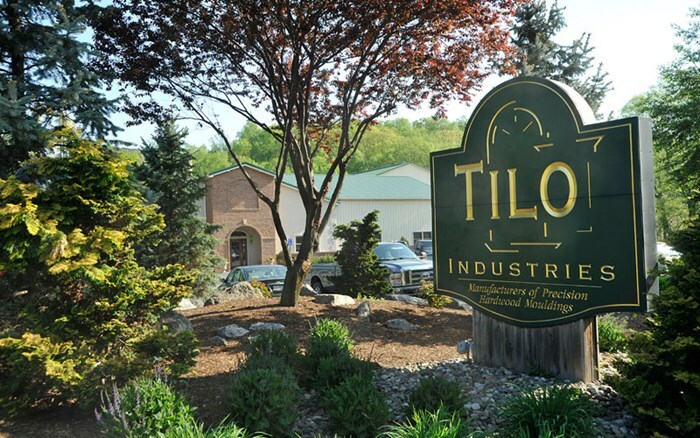 You can learn more about Tilo Industries by visiting their website at www.tiloindustries.com or call them at 570-524-9990.